Goldline Motors Inc in Vancouver, BC where for over 20 years we treat the needs of each individual customer with paramount concern. We know that you have high expectations, and as a car dealer we enjoy the challenge of meeting and exceeding those standards each and every time. Allow us to demonstrate our commitment to excellence! We pride ourselves in having the most competitive prcing on all our vehicles. In fact we believe we have the lowest prices in all of British Columbia. We also have a thorough reconditioning precoess and all vehicles are certified and come with a comprehensive one month free warranty. Extended three year warranties are also available. How can you tell if the used cars you are looking at are great values? You can learn to recognize a good deal when you see one. 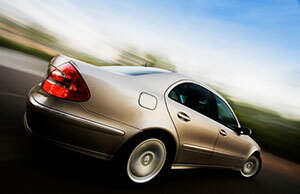 In order to find a used car which is a good value you will want to be looking at several different elements of each car. The condition of the car might seem to be pretty obvious, but dig a little bit deeper by checking out the history of the vehicle. Take note of the mileage which was accrued on the vehicle. It won't hurt to research the type of car that you are looking at. Just because you are buying used, you'll still want to look up how reliable this make of car is, as well as its performance and fuel efficiency. When you know what you're looking for, you can get some really great deals on used cars.